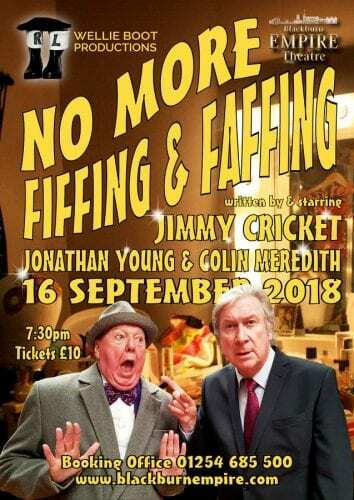 “Calling all Theatre’s”, consisting of Sketches, Variety and Drama, it tells the story of the double act Joe Fiffen and Jerry Faffen who have been together for 36 years and who now are about to perform for the last time together in an end of Pier Show in Clusters-on-Sea, while settling old scores in the dressing room on the night! 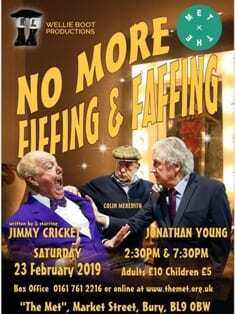 Jimmy Cricket’s first comedy play, which got a great reception from the audience on its debut performance in 2018, is touring northern England in 2019. 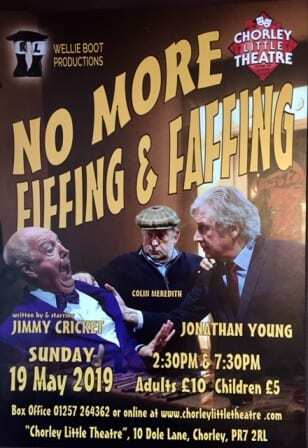 No more Fiffing and Faffing was staged for the first time in September last year at the Blackburn Empire Theatre. 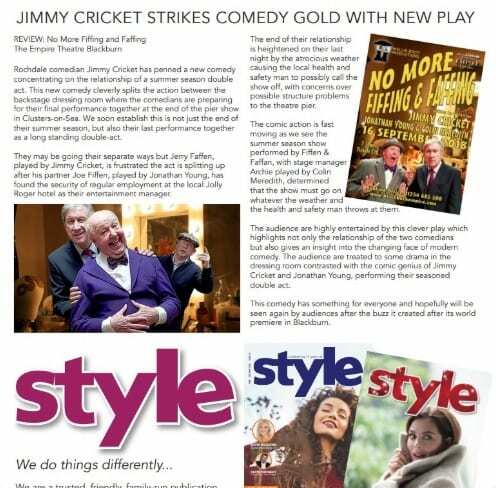 The play was performed at The Met in Bury (23 February), and will be @Chorley Theatre (19 May), the Bridlington Spa (18 July) and the Gladstone Theatre (6th Oct). 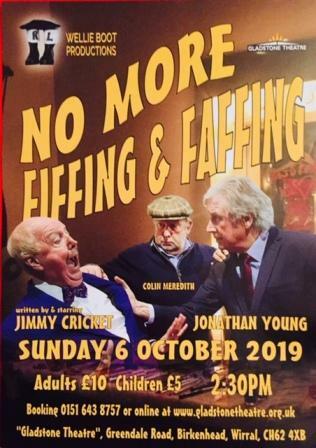 The show, co-written by Jimmy, is an hilarious look at the end of an era of British comedy. 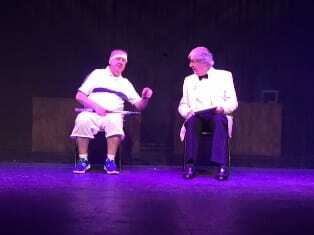 In the audience was Director and actress Noreen Kershaw who said, “It was a warm piece of Theatre and very funny, while giving us an insight into the two main characters working lives”. 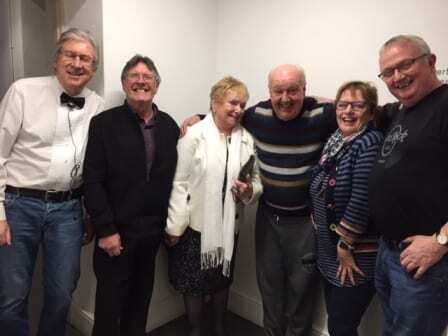 Actress Sue Devaney also enjoyed the Comedy Play on the evening, she said, “What a great fun show with lots of Variety sketches while you follow the double act through their last show together. 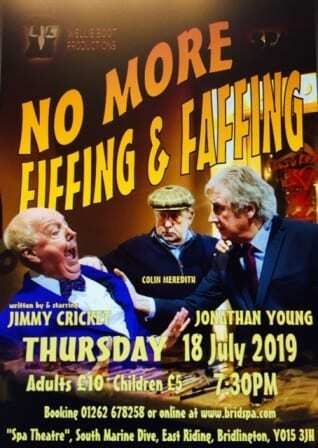 A great evenings entertainment!”. 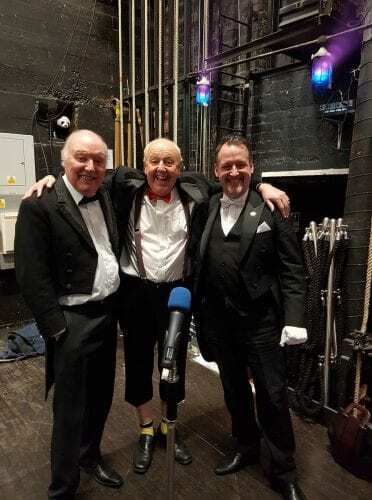 Mark Andrews entrepreneur of many Panto’s and Live Shows said, “It was a very funny nostalgia look into the world of a double acts working life, on and off the stage, and the end of pier show, which we can all relate too who are born off a certain age! 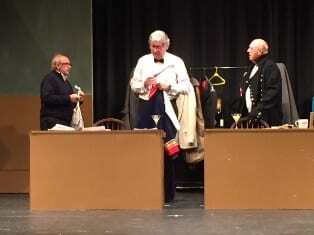 I found it highly entertaining”. 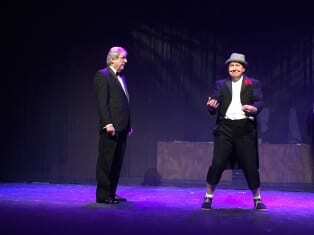 Above is Jimmy with Ted Doan and Howard from The Shep’s Banjo Duo about to perform the, “Three Tenner Sketch”. 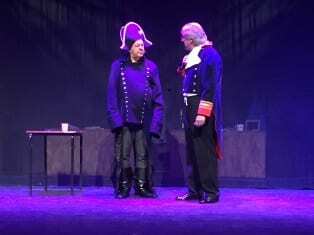 Here are some photo’s taken of the production below! Do you have any plans of coming back to Scotland in the near future.